I recently found myself on a “career break” and decided to have a bit o’ fun in the kitchen. Now, there are many things which I’ve never cooked before because it just seemed so much easier if one were to just buy the freakin’ thing. 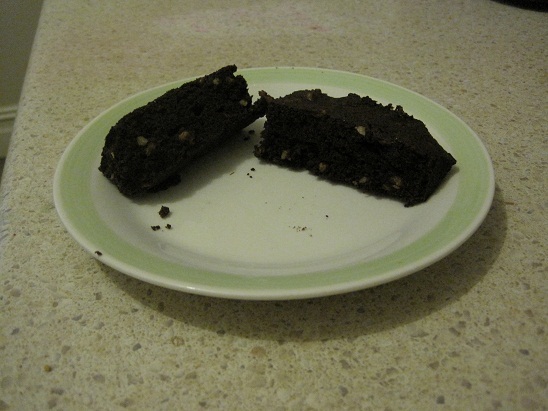 I figure though, if kiddies can make brownies, surely an adult (like myself) should be able to handle it. Jumped on the google and found meeself a few recipes – all of which were pretty gross when you think about it – mashed-up a few to get the recipe I wanted. Now, I’m not one to skimp on fat, I always get full cream milk, don’t buy fat free/low fat stuff, but these brownie ingredients, I didn’t want to think about. Some things you look at and go…nah, too hard. 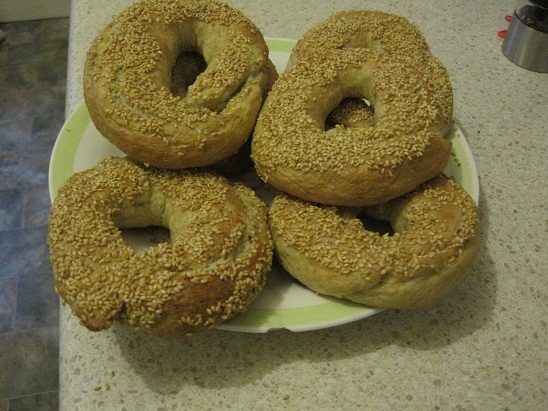 I thought bagels would be a pain to make, what with the boiling & the ovenising, etc. Turns out, it’s a breeze – took me a little bit of time but it was well worth the effort. Try it, if you’ve got a lazy Saturday/Sunday to spare. I really love Montreal style bagels – but this is a recipe for normal bagels – I may try Montreal bagels a different time. A website had a special on for Sailors Thai’s tasting menu so I rounded up a few peeps and off we went. It was 8 courses for $69 including a glass chardonnay by Ross Hill Wines or pinot noir by Bass Phillip Wines. It was a bargain, how could I say no? The starter and it was quite impressive. 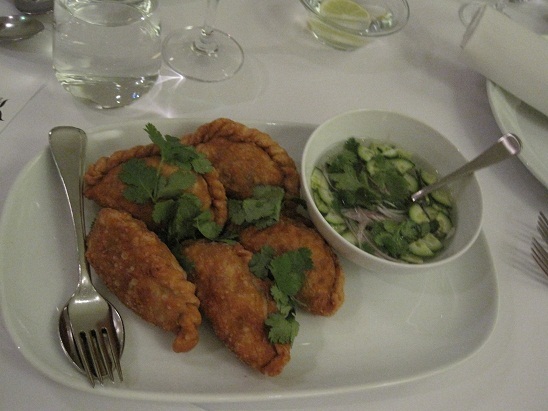 The curry puff was crunchy, filling excellent and I really dug the relish.